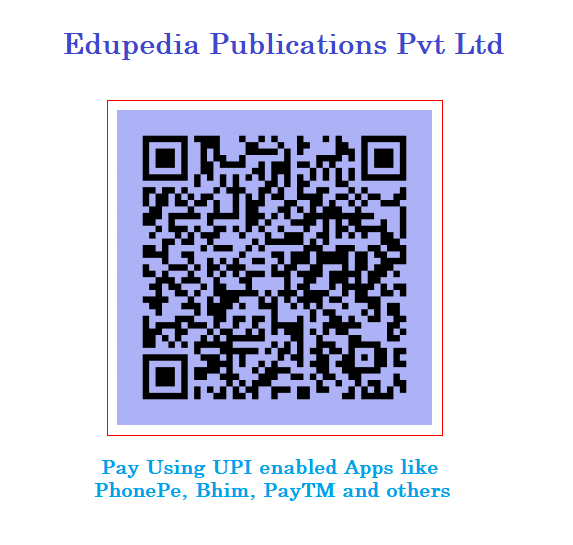 You are requested to make payments using Payment Gateways provided at https://edupediapublications.org/ which is safe and secure. All payments of Edupedia Publications Pvt Ltd will be processed by ICICI bank. All bank users can make payment through various modes like net banking, card payment, challan, dd and cash.